Little dogs like lots of love but bigger breeds blossom with bling. 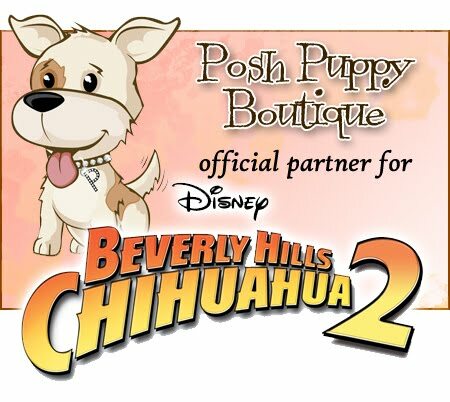 The Posh Puppy Boutique has everything to turn your bigger dog into a style showcase. This Cozy Hemp Adjustable Harness ($40), made with hemp and soft fleece, nylon webbing and a plastic side-release buckle, is designed to fit dogs chests from 24-40 inches. It’s also available in small and medium sizes, too. Your big dogs will brighten any room they enter when adorned with this White Ostrich Rainbow Crystal Collar ($80). Studded with a double layer of rhinestones, the leatherette collar features a full rhinestone buckle. Available in sizes from extra-small to extra-large, this collar comes in several colors including: brown, white, pink andturquoise. When situations require more formal attire, dress your big dog in a Lavender Satin Bow Tie and Collar ($18 for small dogs, $28 for larger breeds). The bowtie can be removed from the white cotton collar, allowing the collar to be washed and bleached. The Posh Puppy Boutique also sells several other necktie collar sets ($22-$32) featuring one collar and three removable ties. Your options are basic, fireman ($21-$32) and frogs ($22-$32). The sets come in a variety of sizes. For even more special occasion style, consider this black and gold Lame Dots Vest with Matching Bowtie ($45-$55). This combination is available in sizes from triple extra-small to double extra-large. Give your girl dog a touch of color when taking her out at night by dressing her in this classic hot pink and turquoise tutu ($35-$89). Available in sizes from double extra-small to triple extra-large, the tutu has multiple layers of turquoise and pink tulle sewn in. Let your pooch reflect your politics by adorning him or her in a colorful tank top featuring political and likely 2012 presidential candidates. For example, the Obama in 2012 ($28-$38) is available in nine colors such as aqua, red, white and baby blue and sizes from extra-small to triple extra large. We have several candidates, especially Republicans, to pick from. Instead of supporting an individual candidate, promote your political party. The Republican 2012 Tank ($28-$38) and Democrat 2012 Tank ($28-$38) are two of your choices. 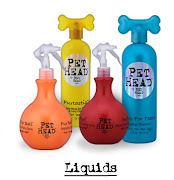 For these and many fashionable items, available for dogs big or small, visit the Posh Puppy Boutique or call 888-837-5230.